AYU-DEP™ is a proprietary blend based upon the herb Crocus sative, or saffron. Saffron has been used since antiquity for culinary, cosmetic, and medicinal purposes. Saffron finds many uses in Ayurvedic, Unani, Chinese, and Tibetan medicine. Saffron has mood-elevating effects, and was used extensively by mogul kings of India for this purpose. It is known to enhance memory as well as sexual desire. Withania somnifera (ashwagandha), Centella asiatica (brahmi or gotu kola), Bacopa monnieri, and Mucuna pruriens are considered to be brain tonics and are classified as rasayanas. Rasayanas are considered to rejunvenate the nervous system and promote tranquility. Berberis aristata supports and balances neurotransmitter production. Overall, Ayu-Dep™ has mood-lifting, soothing and rejuvenating properties. 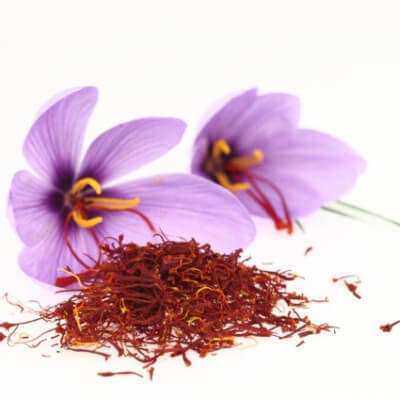 Known in Ayurveda as “Kumkum” and scientifically as Crocus sativa, saffron is recognized as the one that “imparts fairness and glow to the skin.” It is a cooling spice with a bitter taste that is often used in various cuisines around the world. Saffron is also recognized in treatment of conditions of the central nervous system, mood stabilization, for digestion and appetite stimulation. It serves to tonify the heart and aides in circulation, provides urinary support, rejuvenates male and female reproductive organs while providing overall rejuvenation, immunity, and increase in energy. 1 capsule daily or as directed by your physician.